We are bathed in a wave environment (e.g. tv/radio/mobile waves). Could we harness this immense energy? 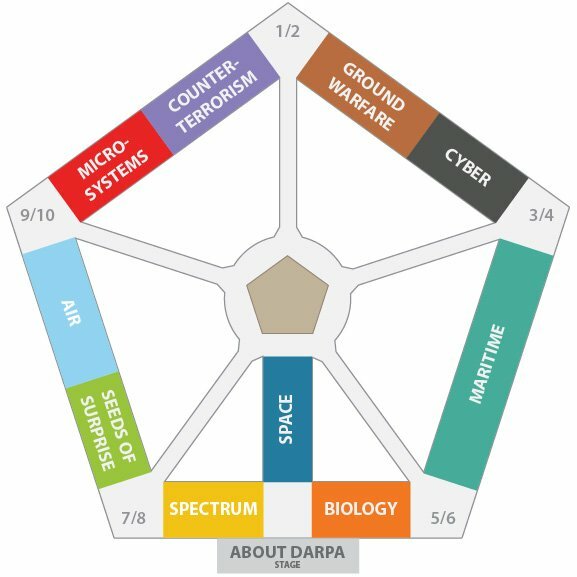 On the occasion of the DARPA Demo Day at the Pentagon and the presentation of its projects as referenced at the following tweet, a past project on Vaccum is cited. "Research in a Vacuum: DARPA Tries to Tap Elusive Casimir Effect for Breakthrough Technology"
Investigators from five institutions—Harvard, Yale University, the University of California, Riverside, and two national labs, Argonne and Los Alamos received funding. "When protons and electrons move they produce light. This light is propagated everywhere, in the entire universe and therefore we have radiation in the entire universe. Even where we do not have particles, we have radiation. Therefore one could argue that we can’t say we have nothing, or that we have a vacuum because we have radiation." "If we take a small box and we manage to empty it from particles, it could be said that particles outside that are close to it emit radiation that enters the box. What if we use material that does not allow radiation to enter? The material has a temperature. This means it emits radiation." Bring two conductive plates, two mirrors in a vaccum at a distance of 10nm. An attractive or repulsive force will be exerted between them. "In fact, "Casimir's original goal was to compute the van der Waals force between polarizable molecules" of the conductive plates." "Now, if mirrors are placed facing each other in a vacuum, some of the waves will fit between them, bouncing back and forth, while others will not. " 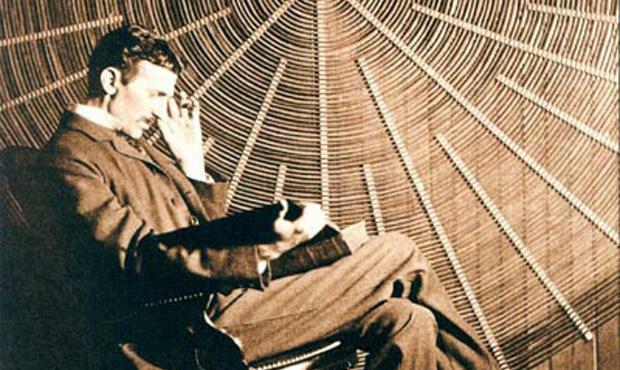 "Harnessing the Wheelwork of Nature: Tesla's Science of Energy"
Quote from this link - "Earth Power - A useable energy source"
Source | Legend: "Nikola Tesla in front of the spiral coil of his high-frequency transformer in New York. 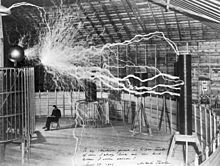 (Courtesy of Wikipedia/Wikipedia Commons)"
Source | Multiple exposure/superimposition picture* created by of Century Magazine photographer Dickenson Alley) of Tesla sitting in his laboratory with his "Magnifying transmitter" generating millions of volts. "In his Colorado Springs Notes Tesla admitted that the photo is false: "Of course, the discharge was not playing when the experimenter was photographed, as might be imagined!" "
Lecture by Michel Spiro, Former President of the CERN Council 2010- January 2013 (highest authority of this institution). Picture of M.Spiro from a different event. The air that surrounds us is full of particles. In the laboratory we can take a small box and use a pump to remove all particles and create a vacuum. But still there will be a significant number of particles. If we take into account the space around a satellite, or the interplanetary space or space between galaxies, we can consider that we have a few electrons and protons in one meter cube. This could be considered an approximation of vacuum. This is defined as classic vacuum. When protons and electrons move they produce light. This light is propagated everywhere, in the entire universe and therefore we have radiation in the entire universe. Even where we do not have particles, we have radiation. Therefore one could argue that we can’t say we have nothing, or that we have a vacuum because we have radiation. If we take a small box and we manage to empty it from particles, it could be said that particles outside that are close to it emit radiation that enters the box. What if we use material that does not allow radiation to enter? The material has a temperature. This means it emits radiation. "Le vide quantique n’est pas aussi vide que l’on pourrait l’imaginer. C’est déjà vrai pour le vide classique puisque si dans une enceinte vous faites le vide, vous pompez toutes les molécules que vous pouvez, il n’empêche que les parois aussi rayonnent et vous ne pouvez pas enlever ce rayonnement même conceptuellement. Vous avez toujours quelque chose dans le vide classique. 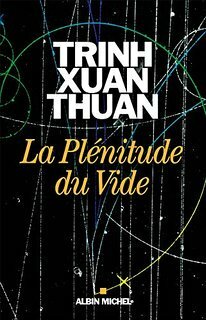 Dans le vide quantique encore plus parce que les relations d’incertitudes font que si on l’observe de très près, dans un temps bref, il fluctue ; le vide quantique est considéré comme l’état d’énergie le plus bas. Il peut être plein de fluctuations quantiques et donc on le considère comme un quasi milieu. Le boson de Higgs confère à ce quasi milieu une sorte de VISCOSITE et ce sont les particules qui, à travers cette interaction avec le vide quantique, acquièrent une masse." « la matière, tout ce qui nous entoure, est probablement issu de fluctuations quantiques du vide. Ces fluctuations quantiques sont à l'origine du Big Bang, puis ensuite à travers un changement de phase lié au boson de Higgs, l'origine de la matière et de la lumière, de la masse telle qu'on la connait. C'est un apport philosophique majeur, conclut Michel Spiro. Un bouleversement de conception qui a des conséquences anthropologiques." According to ancient and medieval science, aether (Greek: αἰθήρ aithēr), also spelled æther or ether, also called quintessence, is the material that fills the region of the universe above the terrestrial sphere. In Plato's Timaeus (58d) speaking about air, Plato mentions that "there is the most translucent kind which is called by the name of aether (αίθηρ)". but otherwise he adopted the classical system of four elements. Aristotle, (...) (Please find the rest of the discussion on the above wikipedia link). A picture of a famous contemporary French philosopher, Michel Onfray, below.